Scarpe da Punta Danza Classica per principianti e professionisti. Abbiamo selezionato meticolosamente dei modelli di Punte per Danza Classica, scegliendo tra le migliori marche attualmente in commercio. Qui troverai Scarpe da Punta Danza Classica di Grishko e Sansha, ma anche dei fantastici e performanti modelli di Scarpe Da Punta della nostra nuovissima collezione. Registrati adesso per ricevere sconti, punti fedeltà e spedizioni gratuite. Scarpe da Punta There are 9 products. Among our collection of pointe shoes, the Grishko Pointe Shoes are ones of the most popular. Here you'll find a selection of models, respectively, for beginners, intermediate and advanced. 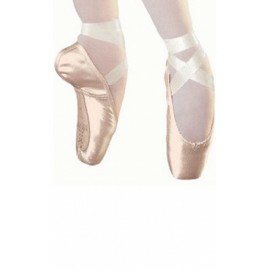 Grishko Pointe Shoes 2007,Fouetté and Novice to choose for each type of foot and your level of study. With the help of professional dancers we have carefully weighed all Sansha Pointe Shoes available on the market, and we have chosen the model of Sansha Pointe Shoes that are well adapted to the different level of each dancer. 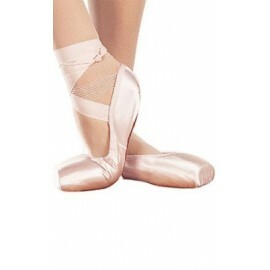 The famous Pointe shoes Recital 202S, the Debutante D101 and super Soft Toe Ballet shoes for beginners DP801. In all cases, before choosing to buy one of Sansha Pointe Shoes, it is recommended to read carefully the characteristics, and seek advice your teacher. Our best selling shoe that fits a wide variety of feet. A U-shaped medium vamp with a drawstring, medium platform and machine-stitched suede sole. This anatomical form is extremely supportive and comfortable for all kinds of feet.The shoe is distinguished by its perfect balance and placement, outstanding durability, lack of noise and perfect comfort. The Novice model is made specially for the beginners. The medium toe platform provides perfect balance and placement. The shoe is all handmade and fits standard feet. It is made of pale salmon satin with a glued smooth leather sole. The ideal choice for beginners learning to stand on pointe. This is an excellent shoe for fuller or wider , square shaped feet. Also a good choice for shorter toes, toes of even length, and wide feet with normal heels. The medium toe platform, similar to the provides perfect balance and placement. The Fouette is known for it’s outstanding durability. Sansha "Debutante" Pointe Shoes D101. Recommended for first pointe work. Very easy demi-pointe work. Medium Vamp. Flexible shank for first barre exercises. These shoes have a more square box and a soft sole. These are build on Sansha's premiere last and are perfect for class, exams and performances. Soft demi-pointe are not to be used for pointe work. Perfect for girls and beginners to improve the stability when they will work on pointe shoes.